All Church members are encouraged to support the recognized service organizations of the Lutheran Church Missouri Synod. Members volunteer their time and talents for a wide variety of Lutheran service organizations. 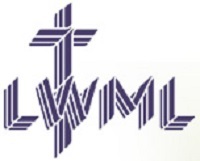 Lutheran Women’s Missionary League (LWML) is the official women’s auxiliary of The Lutheran Church—Missouri Synod. Since 1942, the LWML has focused on affirming each woman’s relationship with Christ, encouraging and equipping women to live out their Christian lives in active mission ministries and to support global missions. To visit the organization’s website, click on the LWML banner. Lutheran’s for LIfe (LFL) believes that the Church is compelled by God’s Word to speak and act on behalf of those who are vulnerable and defenseless. The crisis of our times is the repudiation of Biblical truth manifested in the wanton destruction of innocent human life through legalized abortion-on-demand and the growing threat to the lives of others through legalized assisted suicide and euthanasia. Therefore, LFL strives to give witness, from a Biblical perspective, to the Church and society on these and other related issues such as chastity, post abortion healing, and family living. To visit the organization’s website, click on the LFL banner.